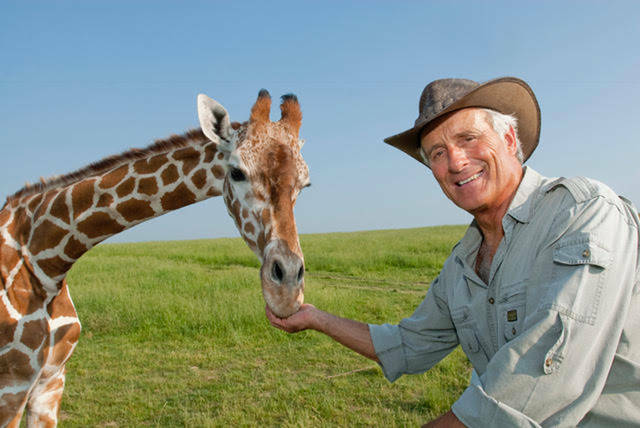 “Going Wild for Wildlife” featuring Jack Hanna will visit the Wayne County Fairground’s Tom Raper Center on May 21. RICHMOND, Ind. – Cope Environmental Center will welcome Jungle Jack Hanna back to Richmond, Indiana. “Going Wild for Wildlife” featuring Jack Hanna will make its third appearance in the area as a community-wide program since 1999. On May 21, Hanna will be back to present another show at the Wayne County Fairground’s Tom Raper Center (861 Salisbury Road, Richmond, Indiana). Hanna will bring some special animal guests to the fairgrounds to share his love and knowledge of the animal kingdom with children and adults from Richmond and beyond. The program starts at 7 p.m. and ends at 8:30 p.m. Doors open at 5:30 p.m. and autographs begin at 6:15 p.m. Proceeds from this event will benefit CEC’s environmental education programs. Food and drinks can be purchased before, during and after the show. There will be a gift shop. Handicap parking and seating will be available. CEC highly suggests carpooling with friends and family. The cost is $15 for adults and $10 for children and students (with valid student ID). Children younger than 2 years old are free but must sit on a guardian’s lap due to limited seating and space. Strollers and car seats are not permitted within the building. Tickets can be purchased at CEC or by calling 765-855-3188. Tickets also are available for purchase online at eventbrite.com. Payment is due at time of ticket reservation. Tickets are non-refundable. There is no assigned seating during the wildlife show. Cope Environmental Center is a 130-acre outdoor classroom for interactive, hands-on learning on sustainability and nature-based programming. Its Living Building demonstrates “green” building and design features while also providing educational spaces for programs and community events. CEC was founded in 1992 as a vision of Jim and Helen Cope and Francis Parks. CEC is located just south of U.S. 40 at 1730 Airport Road, Centerville, Indiana.